Frode Gjerstad (clarinets), Tony Marsh (drums), Eivin One Pedersen (accordeon), Nick Stephen (acoustic bass A brisk return outing for Nick Stephens and Frode Gjerstads improvising quartet. 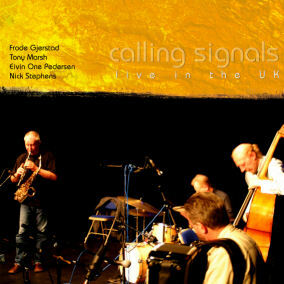 Recorded at the 2005 Southend International Jazz Festival, this stirling performace captures Gjerstads clarinets and Stephens’ controlled bass stunningly. Eiven One Pedersen’s accordeon is again included to great effect, its sound opening up whole new avenues for this exceptional unit. Also featured in this recording is Tony Marsh, stepping in on percussive duties, an exceptional drummer whose name alone can usher in new depths of creation and add that extra special emotive spark.